We are dedicated to offering the most conservative dental restoration options, and tooth-colored, composite resin fillings allow us to do just that. Traditionally, dentists used metal amalgam fillings to repair minor decay or damage. In addition to their immediately noticeable appearance within the smile, amalgams also have a number of disadvantages for patients’ overall oral health. The metal amalgam is held in place with wedges placed into the healthy tooth structure, and they expand and contract at a higher rate than tooth enamel. Both of these concerns can lead to unnecessary loss of tooth structure. Instead, we recommend tooth colored fillings. They can be shaded to blend seamlessly into the natural colors of tooth structures, and the putty like resins are applied directly to the surfaces of damaged teeth. The resin seeps into small crevices in teeth, and creates a stronger, more natural bond preserving the remaining healthy tooth structure. For patients missing numerous consecutive or nonconsecutive teeth or a full arch of teeth, dentures are an excellence tooth replacement option. Partials are used to fill in gaps between teeth. A gum colored base is crafted to fit between teeth, and metal clasps anchor the partial to remaining healthy teeth. Replacement teeth are custom crafted and attached to the base material to complete the smile line. A full denture is similarly crafted with a gum colored base supporting a full row of replacement teeth. However, there are not healthy teeth remaining to provide support, so the base is crafted to fit snugly against the gum line, creating suction that holds the denture into position. When tooth decay or damage accesses the innermost layer of the tooth, the result is typically a painful toothache or extreme dental sensitivity. While root canal therapy has garnered a bad reputation, those patients who receive this treatment experience significant relief from the discomfort leading up to treatment. The inner layer of the tooth is called pulp, and the nerve system is housed within the pulp tissue. When damage or decay reaches this part of the tooth, the nerve system is directly irritated causing the toothache pain. Root canals remove the damaged pulp and nerve tissue. The procedure is simple. We drill a small access hole from the top of the tooth to the pulp. Then, we carefully extract the pulp and nerve. If there is infection, we will decontaminate the inner portion of the tooth. Next, a similar substance is used to replace the lost dental structure, and the hole is resealed. We will typically recommend placing a dental crown to protect the tooth as well. We provide dental crowns in a variety of materials, and the process typically takes two visits to our office. 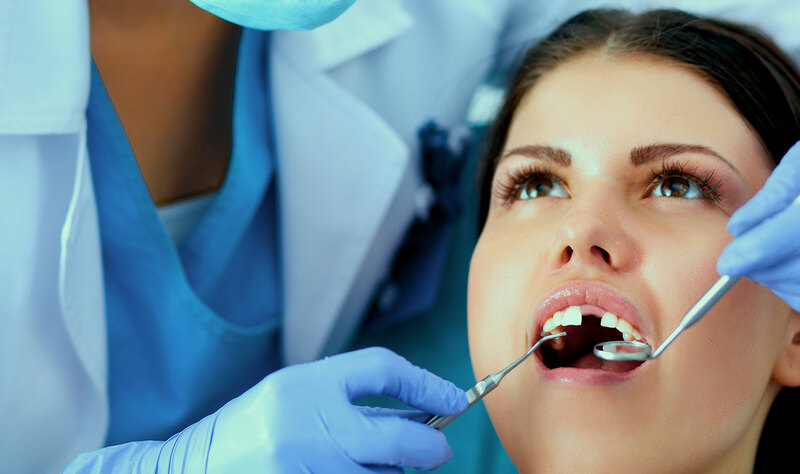 During the initial appointment, we’ll prepare the damaged teeth, capture impressions, and place a temporary. The impressions are sent to a lab where your crown is crafted. Once the custom crown is received from our lab, you’ll return to exchange the temporary for a custom solution. Bridges are commonly crafted and placed in two appointments. For those patients who choose dental implant supported tooth replacement, the process may take longer and require additional visits.